Let me introduce you to the exceptionally talented mother-daughter duo that brought Chennai to the fashion map. Mrs. Vimal Shivdasani and Monisha Gidwani. 25 years ago, when fashion exhibitions were unheard of Mrs.Vimal Shivdasani started a fashion journey with foresight and a vision. 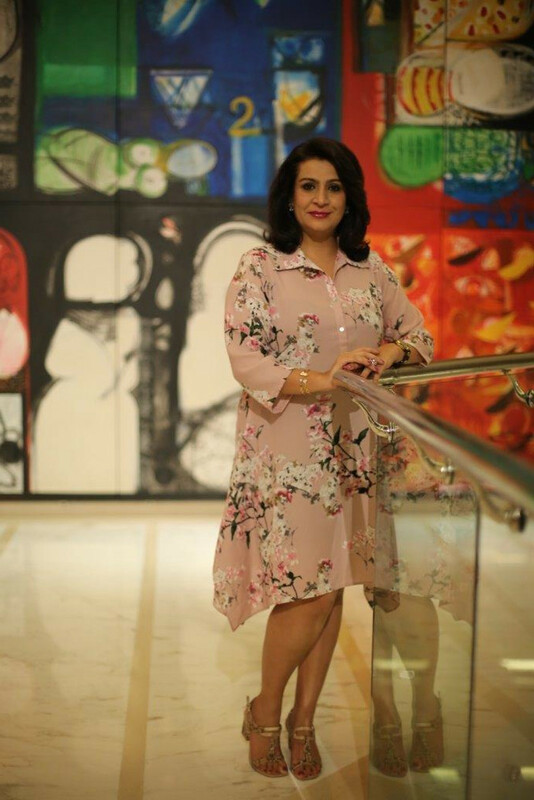 She brought designer labels and clients together, as working with business India magazine, she believed that it will be much easier to convince consumers to buy products being marketed to them, if they could see and feel these products in real. And so started the Vimonisha exhibitions. Monisha built on her mother's dream and made sure that her mom's vision comes true. Today, Vimonisha Exhibitions is a much sought-after fashion destination and Monisha is nothing short of a celebrity :) And she truly deserves it! In a span of two and a half decades, the Vimonisha Exhibition has grown from a few designer labels catering to clients once a year to 65 designers coming under one roof thrice a year at the Hyatt in Chennai. The highly style-conscious Chennai-ites look forward to associating with Monisha because the association does not end merely at the booth. Besides offering a space at the exhibition, Monisha also offers her designers a 360 degree plan and communication strategy. And PR too! All this has been possible due to her unique skill that no other exhibition organizer posseses in today's date. The skill to understand fabric from a technical point of view combined with a thorough knowledge and years of experience in advertising and marketing. When exhibitions are happening right, left and centre, Monisha is probably the only promoter to have such an exclusive USP. With her tremendous experience, she is helping her designers to not just exhibit, but also move their business to the next level. She has also started offering social media activities to clients who dont want to necessarily take up booth at the events. Being a morning person, Monisha likes to begin her day very early as it gives her a head start over others. It also gives her the time to think and strategise for herself and her clients. She has been very active on her website http://vimonisha.com as well as on her fb page. Do check it out. And remember,Vimonisha’s next event is on 29th and 30th of march 2016 at Hyatt Regancy- Chennai. See you guys there!